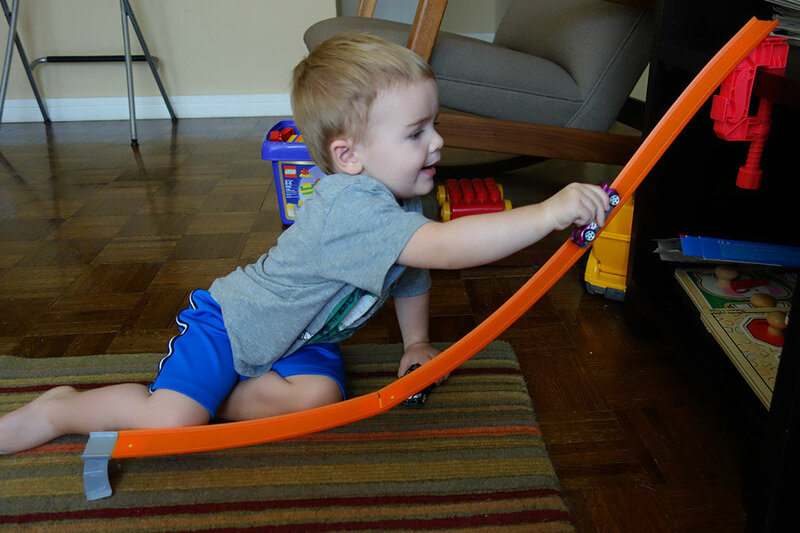 Aunt Juj and Cousin Mae sent Henry a Mega Jump ramp along with a few new toy cars—perfect gift for a boy currently obsessed with toy cars. This entry was tagged cars, jump, toys. Bookmark the permalink. Such a cute toy for Henry from Aunt Juj and little Mae ! Henry’s getting so big, so fast!